In situ chemical oxidation (ISCO) is an effective technology for the cleanup of contaminated sites by organic compounds, such as hydrocarbons. Such remediation involves the introduction of a chemical oxidant into the subsurface in order to transform organic pollutants, present in groundwater or soil, into less harmful chemical species. Commonly applied oxidants are permanganate, hydrogen peroxide, ozone, and persulphate. To implement the ISCO effectively, an enhancement of the contact oxidant-contaminant is required. This can be difficult in many soils and aquifers where natural features can result in significant heterogeneities in the flow of water, or in which the presence of natural reducing substances can generate non-productive reactions that consume oxidants, thus compromising their adequate distribution and efficiency. In this regard, a detailed previous knowledge of some morphological and physicochemical properties of soils and aquifers to be treated will contribute to optimize the ISCO treatments. A present case study is currently being developed on a site with particular features that significantly influence the applicability of ISCO in any reagents. This features include: the irregular distribution of pollutants, high spatial and temporal variability of water table, generally low permeability as well as a remarkable heterogeneity of the main physicochemical soil properties (salinity, aeration, grain size or organic matter), both in the vertical and the horizontal distribution. 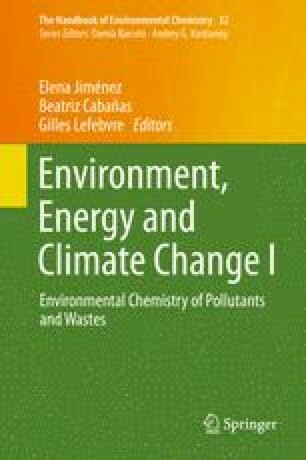 This chapter provides a short review of the main challenges associated to an in situ chemical oxidation treatment, specifically referred to as a site that represents a significant source of inefficiency in its application, focusing on the main issues that need to be accounted for the design of such treatment.